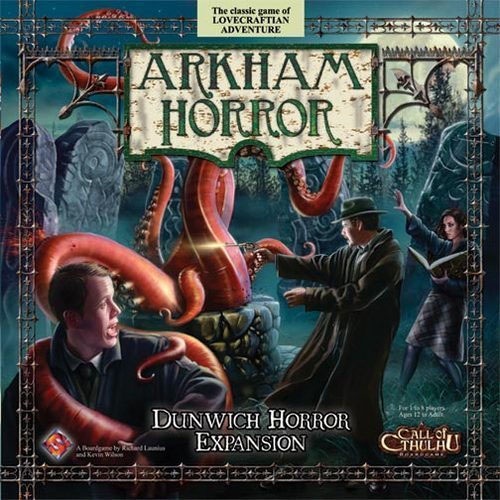 Dunwich Horror is an expansion to Arkham Horror, complete with an extra board and the entire town of Dunwich - accessible via train from Arkham. There are plenty of new rules and new components, usable either with or without the Dunwich board addition. New Injury and Madness cards for particularly unfortunate investigators. New game concepts, such as Gate Bursts and the Dunwich Horror itself!